WADEM created affiliate memberships for institutions and organizations that share an abiding interest and mission in advancing disaster and emergency health care to their membership, faculty, staff, etc. WADEM created this “affiliation” option to membership to help foster international collaboration and research with like-minded institutions and organizations. Learn more about WADEM Affiliate Membership. The American Academy of Disaster Medicine (AADM) exists to educate healthcare professionals and allied disciplines (e.g., anthropologists, urban planners, chaplains) in disaster and global health preparedness and response. AADM works with multiple organizations to define disaster medicine as a discrete, interdisciplinary specialty and to develop foundations of knowledge, core capabilities, and professional standards – creating a Disaster Medicine Learning Community that promotes community health resilience. Disaster medicine certification reinforces to international, federal, state, and local officials that disaster certified professionals are qualified to contribute to relief and recovery during times of a crisis. The BIDMC Fellowship in Disaster Medicine, an affiliated fellowship of the Harvard Humanitarian Initiative at Harvard University, is designed to provide qualified fellows the opportunity to develop an expertise in the related fields of Disaster Medicine (DM) and Emergency Management (EM). Through extensive domestic and global rotations, fellows experience the practice of these disciplines in real-life, in addition to learning them in the classroom. With related offerings in Crisis Leadership, Counter-Terrorism Medicine, International EMS Disaster Operations, and Disaster Nursing, the BIDMC Fellowship in Disaster Medicine provides a comprehensive educational experience. A division within the Massachusetts General Hospital (MGH) Department of Emergency Medicine, the Center for Disaster Medicine (CDM) oversees all preparedness and emergency management efforts at MGH. The mission of the MGH CDM is to improve health system emergency preparedness, response and recovery through comprehensive programs that successfully prepare for, mitigate against, respond to, and recover from disaster events. The mission of the Disaster Psychosocial Services (DPS) Volunteer Network is to provide an integrated, coordinated, psychosocial response to meet the needs of survivors and responders in the event of a disaster. The DPS Program is driven by a passionate connection to its values – both those identified by the parent organization, Provincial Health Services Authority (PHSA) and its internal DPS values. Event Health is a new industry body supporting providers of health services in out-of-hospital environments including special events, mass gatherings, and other similar situations. Event Health is part of Medical Response Australia, which is a registered Not-for-Profit, supporting emergency medical care across Australia. Global Disaster Response's mission is to provide a professional response to those affected by disasters and emergencies. Global Disaster Response is part of the Center for Global Health at Massachusetts General Hospital (USA). Global Disaster Response (GDR) at the Massachusetts General Hospital is committed to providing well-trained personnel and resources to immediately respond to a full spectrum of humanitarian—natural or man-made—emergencies. GDR maintains the highest standards in clinical care, organizational management, and ethical practice. As a center of excellence in disaster preparedness and response, GDR leverages the multi-disciplinary expertise of Mass General and the Partners Healthcare community to deliver the highest level of care to people affected by disasters. Continuously improving the quality and effectiveness of global humanitarian aid through preparedness, response, and research is a cornerstone of professional development and leadership at Massachusetts General Hospital. Bringing uplift to the people of Northern Vanuatu. The National Center for Disaster Medicine and Public Health (NCDMPH) serves as the United States' academic center of excellence for education, training, and educational research in disaster medicine and public health preparedness. The Master of Science in Disaster Medicine and Management at Philadelphia University is a comprehensive online graduate degree program encompassing all facets of disaster management. The Sunnybrook Centre for Prehospital Medicine is an organization committed to excellence in the delivery of specialty medicine that occurs before patients arrive in Ontario hospitals. Sunnybrook is affiliated with the Trauma, Emergency, and Critical Care Program at its parent organization, Sunnybrook Health Sciences Centre, an academic health sciences centre that is affiliated with the University of Toronto. 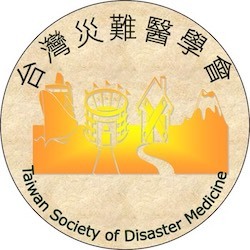 The Taiwan Society of Disaster Medicine (TSDM) was registered in 2000, exactly one year after the ChiChi earthquake, which hit mid-Taiwan on 21 September 1999 and resulted in more than 2,400 casualties. Its operations include disaster medicine-related training programs, such as DMAT, nuclear-biochemical preparedness, hospital incidence command system, basic disaster medicine instruction, and journal publishing. Since October 2005, TSDM provides a certified disaster medicine subspecialty to those board-certified emergency physicians who meet its requirements. TSDM has long been recognized as an important stakeholder and aggressively participates and cooperates with other disaster management communities, professional health organizations, and government emergency response systems. Gather research and studies on disaster medicine, to make it a refined and useful tool.